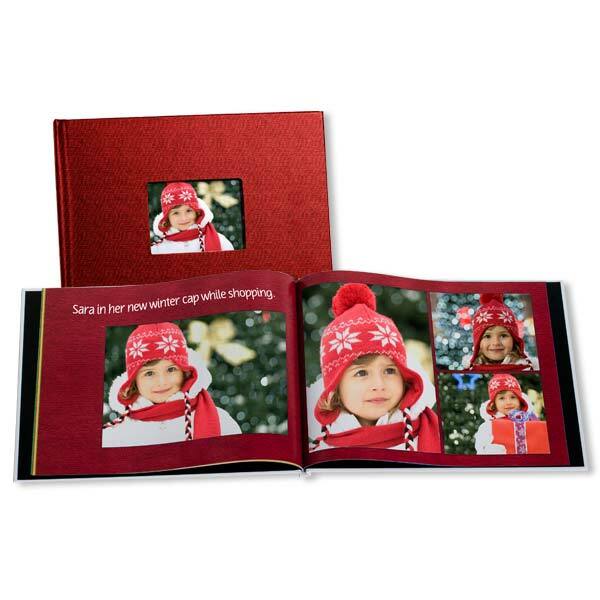 Holiday photo books are perfect for keeping and sharing your holiday pictures. Easily drag and drop your photos from your holiday events and gatherings into our customizable layouts, add text, and create your own holiday photo book. Our fun layouts allow you to build collages, feature a portrait across the gutter or frame snapshots inside holiday artwork all on the page of a holiday photo book. Give yourself and others a beautiful way to look back and remember all of the wonderful times of the past holiday season.